I know, I know. I am being too slow with the house re-do pictures. But I am getting there, I promise! 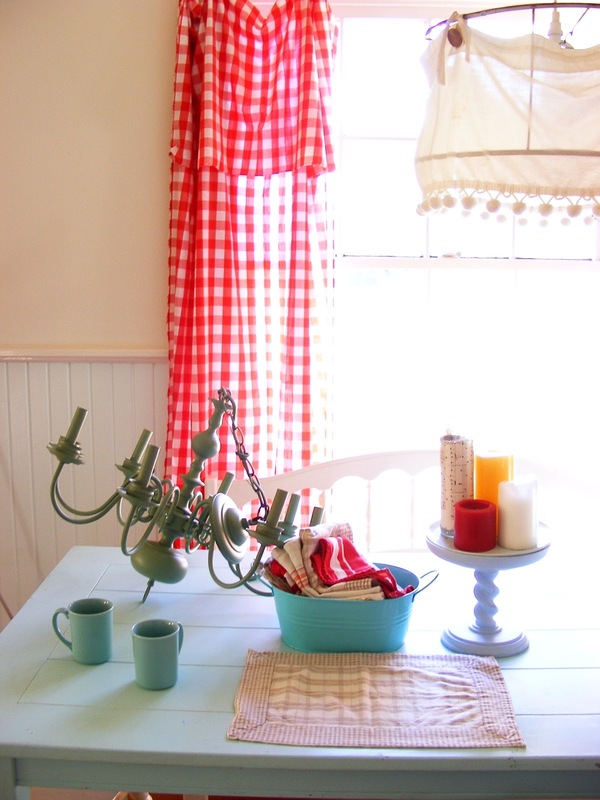 Here are a few sunny shots of the dining room post-painting. Isn’t it so light and airy? I love the color combos even if it does feel strange and odd to have the room this way. I am trying out the colors for the Farmhouse and at the same time freshening this house up for potential buyers. The bottom of the wall is Opera Glass, also by SW. The very day I was painting the dining room I had to make a quick run to Target for some supplies and while I was there I cruised through the magazine aisle (always on the hunt for something new and pretty) when a new title caught my eye. And then I noticed the room on said magazines cover. And then I started laughing so hard I almost cried and I am pretty sure I absolutely freaked out the sweet older couple standing next to me. But I couldn’t help it. I was standing in Target and there was my house. On the cover of a magazine. Only my house doesn’t look like that anymore. Oh the irony! 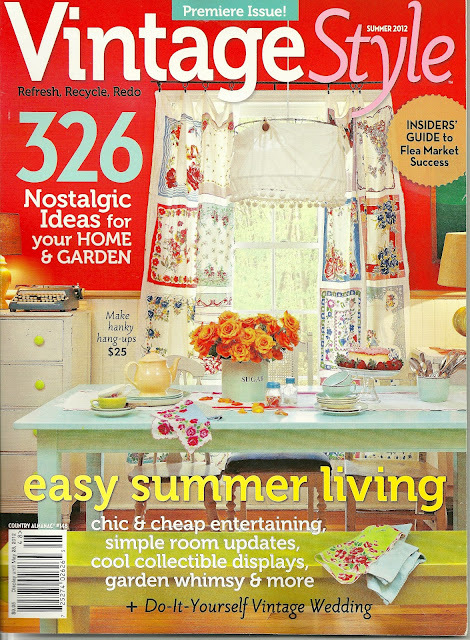 You might remember when last Spring my our house was featured in Cottage Style magazine? Well, the same publishes have come up with a new publication called Vintage Style and they chose (unbeknownst to me) some of the pictures from that photo shoot for their premier issue. What is so funny is that I had NO IDEA. Seriously. None. The photo’s belong to the photographer/publisher so they can use them for all time without me ever knowing ahead of time. So there you go. I’m (okay my house is) finally a cover-girl! Isn’t that the craziest story ever? 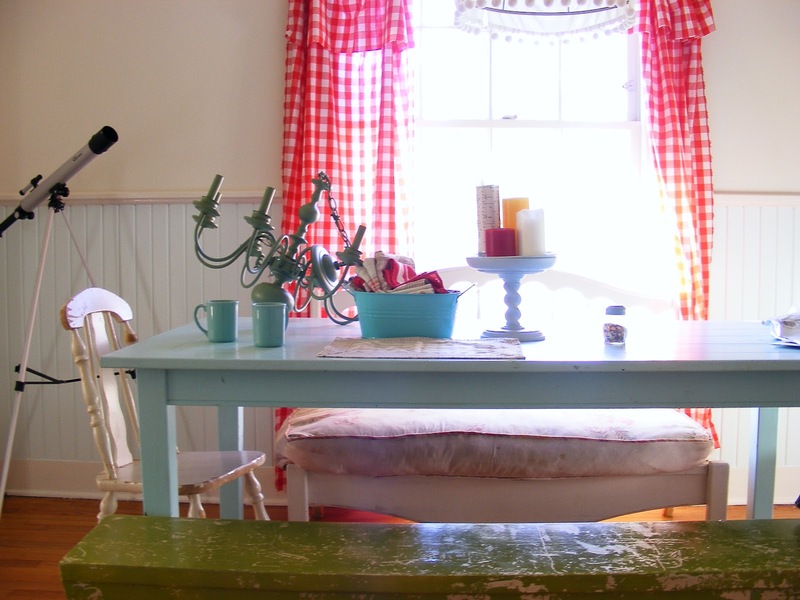 WOW…you should be so excited – but sometimes we have to change our personal style to sell – and you can do it all over again in your farmhouse someday! Irony is always close by!! i knew in an instant of seeing that new publication that that's your home. so delightful i just had to pop over to say hello! i'm still swooning over your home from it's first print appearance! funny how magazines own the photos. you never know when they'll show up in a sister publication. Congratulations! I am really impressed! I'll definitely have to pick up this issue! Change can be good–I'm changing some things around now! I'm so happy to know that's your house, as those images are some of my favorites of all time! I just saw that new publication as well. I will have to revisit the old issue I still have with your house in it. May I ask, if you don't mind, how you ended up getting published the first time? Did you submit photos? Haha! Wow, that is crazy. I still own that issue from last spring. It was hilarious when I was reading the article and a lightbulb went on as I realized it was your house! I was so excited for you! Oh my, I just picked up this magazine–love it and your kitchen is my favorite! That is cool AND funny! By the way, I really like your dining room! I haven't seen the magazine here but wow!! How you must have been surprised!! Very cool. 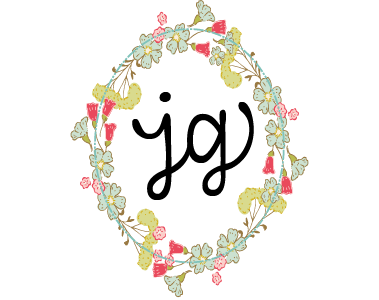 I tripped over your blog while looking for hanky inspiration and have to say I love it. Your dining room is the inspiration for my servants dining room which I'm redoing. (we have no servants…just their dining room lol). I'm restoring a historic home and wanted to use my grandmothers hanky collection which flows perfectly with a 1940s linoleum rug I found. In many ways the room will end up much like yours in feel I hope as its perfect for the space and gives me one girly and casual space in this huge (someday) masculine Victorian home. Thank you so much for showing me how bold and crazy color can be, and yet turn out soft and wonderful! I just want your old curtains!